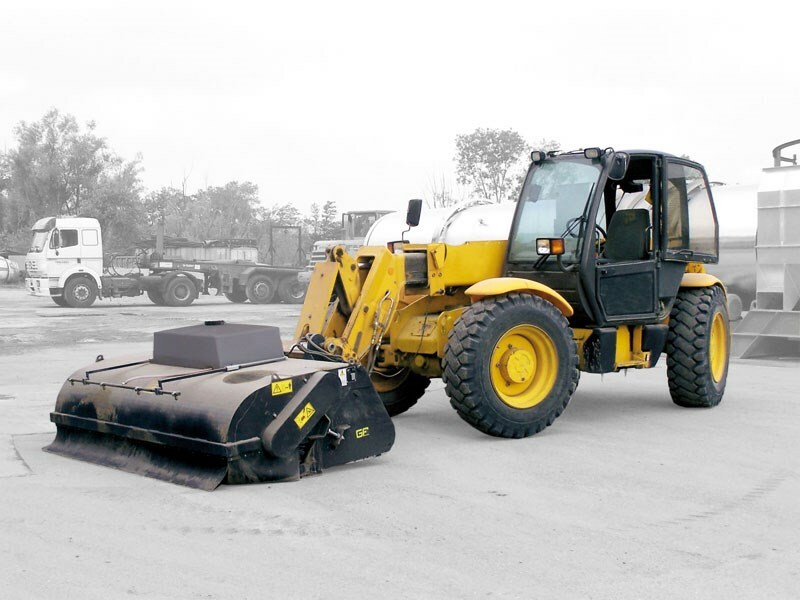 Sweeper with polypropylene bristles for cleaning and collecting dust and to scrape off mud at job sites with lower blade. 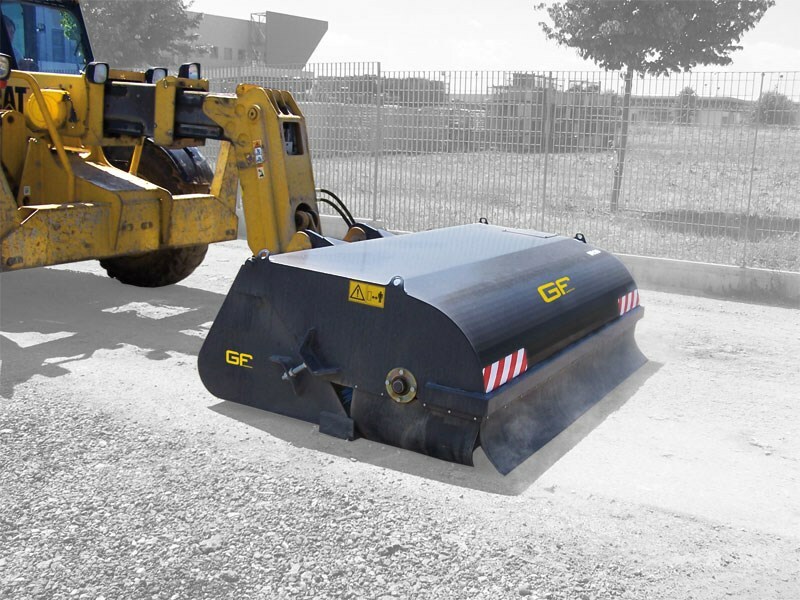 Collection bucket with HARDOX wear bands under the bucket and bolted/reversible lower blade made by anti wear steel. Front and side protection of broom with rubber bands. Gravity or pressure (on request) sprinkler with 100 liters water tank.